MNA – Polish Deputy Foreign Minister Maciej Lang called ‘constructive’ his Monday meeting with Iranian deputy FM Araghchi over an upcoming anti-Iran conference co-organized by the US and Poland. 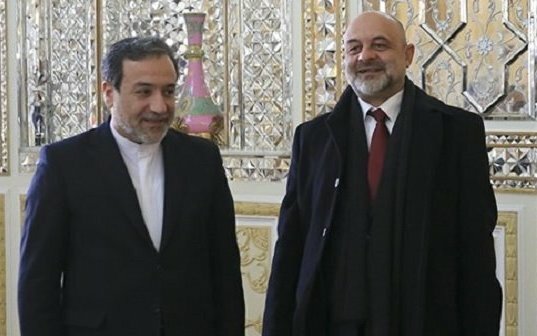 A political delegation from Poland headed by the deputy foreign minister arrived in Tehran on Monday to hold talks with Abbas Araghchi, Iran’s Deputy Foreign Minister for Political Affairs over the European country’s decision to host a US-sponsored conference on ‘Middle East region’, the focus of which Iran finds hostile to the Islamic Republic. During the meeting, the Iranian side said the hosting of the conference by Poland was ‘unacceptable’, warning the Polish government about its consequences and real intention of the US government. “For Poland this conference is not against any country,” he claimed. Lang expressed hopes that the conference would have a positive impact on relations with Iran. “We intend to organize an event to discuss problems. Basically the outcome of this conference is to find a process serving stability in the region,” he said. Iran summoned the Polish Charge d’Affaires on Jan. 13 to protest the decision, deeming it “a hostile move by the United States against the Islamic Republic of Iran,” calling on Poland to refrain from co-organizing the conference with the US.